Stocks that may be undervalued share two critical qualities: strong fundamentals and attractive valuation metrics. Benjamin Graham, the father of value investing, advocated a disciplined approach for identifying stocks with value. Critical to this approach is a familiarity with the business of the company you are investing in. You should be knowledgeable about what the company sells, how it operates, what the competitive environment is like, who manages it, and what its threats, opportunities, strengths and weaknesses are. A good place to start is with businesses or industries you know or are interested in. Knowing a company’s products, customers, competitors and operating environment is essential in identifying its intrinsic value, and the more familiar you are with it, the better. Does the company have some unique competitive edge? Does it dominate its market? Is it in a sector or industry poised for growth? These factors can be key to future growth. Next, narrow down the field by screening for companies that have a history of strong and consistent financial performance. Look at short- and long-term trends in sales and earnings, as well as cash flow. Also consider the company’s debt levels and cash position. And if the stock pays dividends, look at yield and consistency. A company’s financial statements and an analysis of its financial results can be found in its annual report, or its SEC filings, which are available through the SEC website. A number of different valuation ratios attempt to gauge a stock’s “priciness” by looking at the stock price as a proportion of its earnings, sales or book value (equity). These metrics can be used to compare the valuation of different securities and help determine how expensive a stock may be in comparison with comparable issues. Typically, value stocks are priced much lower than stocks of similar companies in the same industry. So with each of the following metrics, look for low values in comparison to peers or industry averages. Value investing typically requires a long-term commitment. The gains to be realized from investing in an undervalued company can take years to materialize. A ten or more year holding period is not uncommon. Likewise, cyclical shifts that favor a particular industry or sector can take years to occur. It may take a long time for undervalued stocks within these areas to realize any gains from sector rotation. It’s also important to keep in mind that buying undervalued stocks is inherently risky. Stocks with low valuations tend to be low for a reason. They may be experiencing financial difficulties, management problems, regulatory challenges or any number of issues that represent legitimate reasons for avoiding the stock. What’s more, it is easy to mistake a market downturn for a value buying opportunity. Just because a company’s stock price or P/E is heading downward does not mean that it is undervalued. That said, a value investing strategy can be lucrative if done right. Just ask Warren Buffet. The key is applying a thorough review of all prospective issues and a consistent strategy. But it’s not easy. It takes a lot of time and effort to research companies, let alone value them. That’s why it’s best to work with a professional, who can help you identify undervalued companies or value funds. Lisa Shelton is a financial advisor at the Lowery Shelton Group – Morgan Stanley Smith Barney Vancouver Branch. She can be reached at 360.992.7994. Article by McGraw Hill and provided courtesy of Morgan Stanley Financial Advisor. Standard & Poor’s Financial Services LLC (“S&P”), which maintains the S&P500/BARRA and S&P 500/Citi Growth and Value indexes, is a subsidiary of The McGraw-Hill Companies. Equity Securities’ prices may fluctuate in response to specific situations for each company, industry, market conditions, and general economic environment. Value investing involves the risk that the market may not recognize that securities are undervalued and they may not appreciate as anticipated. Companies paying dividends can reduce or cut payouts at any time. The securities discussed in this material may not be suitable for all investors. The appropriateness of a particular investment or strategy will depend on an investor’s individual circumstances and objectives. The author(s) are not employees of Morgan Stanley Smith Barney LLC (“Morgan Stanley”). The opinions expressed by the authors are solely their own and do not necessarily reflect those of Morgan Stanley. The information and data in the article or publication has been obtained from sources outside of Morgan Stanley and Morgan Stanley makes no representations or guarantees as to the accuracy or completeness of information or data from sources outside of Morgan Stanley. Neither the information provided nor any opinion expressed constitutes a solicitation by Morgan Stanley with respect to the purchase or sale of any security, investment, strategy or product that may be mentioned. 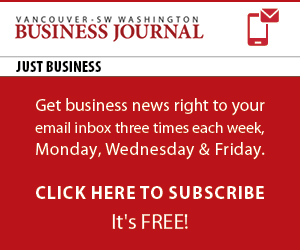 Morgan Stanley Financial Advisor(s) engaged Vancouver Business Journal to feature this article. Lisa Shelton may only transact business in states where she is registered or excluded or exempted from registration www.ms.com/fa/lowerysheltongroup. Transacting business, follow-up and individualized responses involving either effecting or attempting to effect transactions in securities, or the rendering of personalized investment advice for compensation, will not be made to persons in states where Lisa Shelton is not registered or excluded or exempt from registration. Investments and services offered through Morgan Stanley Smith Barney LLC, member SIPC.